I am on vacation. I am on vacation and back downtown looking after the dog while TB is away for work. Because I don’t have my usual well stocked kitchen/pantry at my finger tips, I have been trying to make due with simple meals. Besides, cooking for one is not as much fun as cooking for at least someone else, or a few someone’s…regardless one must eat! So after a beautifully sunny Vancouver day and a long walk around the sea wall in the late afternoon with the dog, I was hungry. In the fridge I had some peperoni and cheese, some pizza dough from the local bakery and the pièce de résistance: a cold bottle of white wine. A while ago Annie from one the most tried and true blogs that I read almost daily had posted the idea of pizza bites. Now it wasn’t rocket science. And truthfully, it probably would have been a little less work making a simple pizza either on the pizza stone or on the BBQ, but regardless I made these. And they were fabulous. Imagine the sun setting, sitting on the patio with a plate full of these little nuggets, a big glass of wine and of course a good book. What a fantastically relaxing way to end a fabulous day. The picture leaves something to be desired… not enough light, sorry! These would be great as an appy or if you are like me, a dinner. Tasty tasty, as always, thanks Annie. Place a cube of cheese and slice of pepperoni onto the disc, wrap dough around and pinch close. Repeat with all dough pieces. 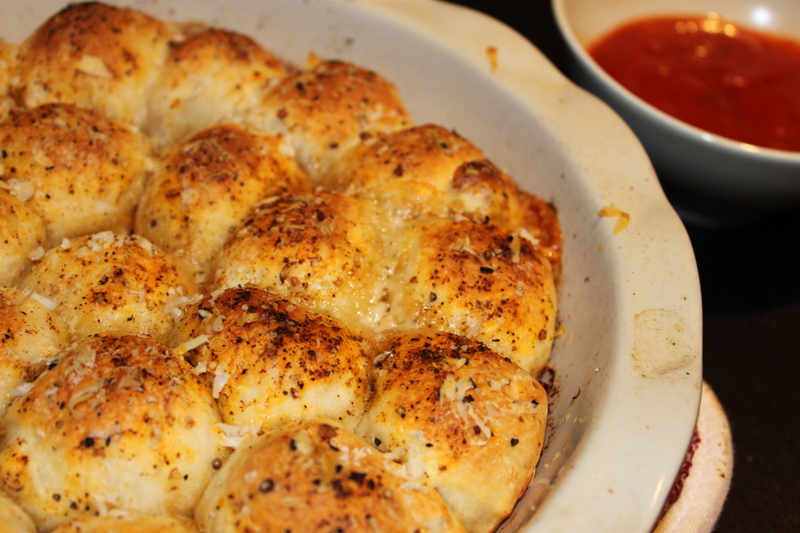 Place dough balls in the pie plate, brush with olive oil. Grate parm on top for some crunchy goodness and sprinkle with Montreal steak seasoning, or if you have it Italian seasoning and garlic salt or powder. Crack open some wine and enjoy. I’ve been trying to be better about using my leftovers. I don’t know about you, but I can easily make a meal, have enough leftover for a few meals…but I get bored. I have a hard time eating oh let’s say turkey three days in a row. I mean there is only so many turkey sandwiches you can eat right? Knowing that I should finish up the turkey my mom sent back with me when I last visited her. I thought I would serve it up in a pretty different way (for me any ways). I’ve never made taquitos before. A favourite neighbourhood restaurant here in Vancouver is Las Margaritas. We love their taquitos. So into the kitchen, rummaging into the cupboards and fridge looking to see what was on hand. It’s getting sparse since I am getting ready to head to Mexico for two weeks, so I wanted to make due with what I had…and I have to say, the result was tasty tasty! A yummy dinner with a side of guacamole and some salad. 6 toothpicks or small skewers. Mix turkey, water, cheese, cumin, chili powder, salt, pepper together. Place2-3 tablespoons of the mixture and place about an inch or two from the edge in a straight line. Roll into the shape of a cigar, secure into place with a tooth pick. In a large dutch oven, cover the bottom of the pot with about 1/2 inch canola oil – I couldn’t find my thermometer, so I heated for about 5 minutes on medium-high/high and then put a little piece of tortilla in the hot oil to see at what point it would be ready. To know, it will have browned. With metal tongs, place 3 tortillas across the bottom of the pan, rotate/roll them over, allowing 2 minutes per side. Watch it carefully you don’t want the oil to smoke and burn it. 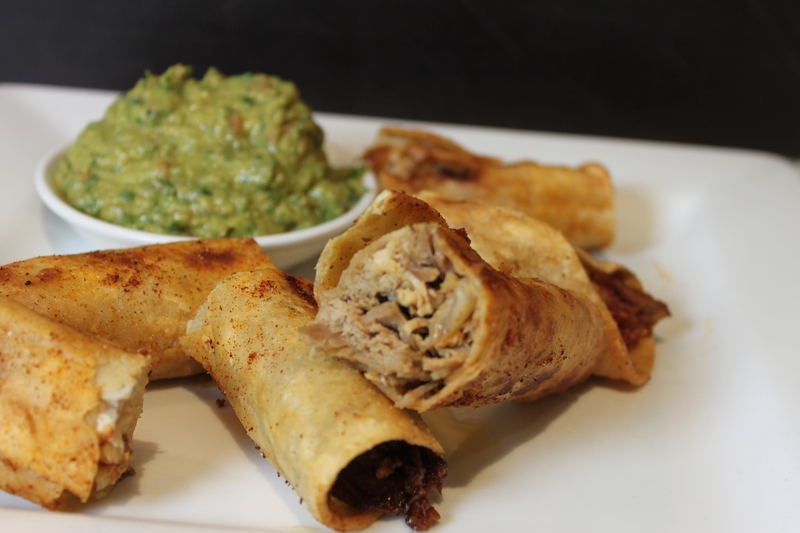 Remove taquitos after 4-6 minutes to a plate covered with a paper towel or two. Allow oil to return to temperature, and repeat process with remaining 3 taquitos. I’m back! It’s been almost six weeks of no posting. Life has thrown some curve balls at me this past month, but here we emerge, at the end of January, ready to move forward. I’ve been away for the last ten days in Maui for a good friend’s wedding. It was stunning. I’ve never been to Hawaii before, and after this trip, know I will have to go back. There is something to be said to escape reality. To leave the grey and the rain. To relax in the sun, lie on a beach and have a good time with friends. It was hard to come home, but if nothing else, it reminded me of the importance of holding onto the zen that is vacation. To not get hung up on the little things. To look for that which you are appreciative of and express gratitude for it. A group of six of stayed together for the first week on the island. It was tight quarters, but still an excellent time with friends. We opted to not eat out for every meal. We all enjoy the same sort of fresh and delicious foods and thought that we might as well cook together and enjoy the stunning view from our lanai. Combine tomatoes and salt, set aside as you chop the rest of your veggies. Once everything is chopped, mix and then squeeze lime juice over top. Mix and taste, does it need a little more salt? Enjoy with tortilla chips. I am one of those impatient people who has a hard time waiting for an avocado to reach the perfect ripeness for guacamole. I pick up the avocado from the store, usually knowing that it will need another 3 days or so to become that almost butter like consistency. But then I get home and I see it sitting on the counter…eying me. Tempting me to give it a try. I mean, if you through it in the food processor for long enough it should get smooth like peanut butter right? Wrong. It just gets lumpy and is nowhere near the right flavour or of course, right texture. The other day I was in the store and looked at the avocados and they called to me. They were sinfully soft without being overripe. 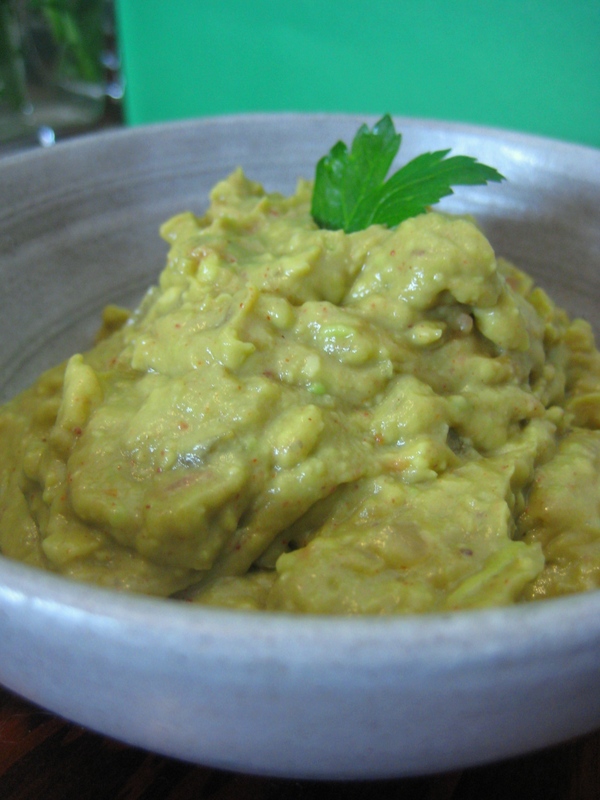 They begged to be whipped into a smooth and tasty guacamole. I mixed and matched what we had in the fridge to come up with this and I loved it. I think it was the extra kick of the Mexican Chili powder and the smokeyness of the cumin. 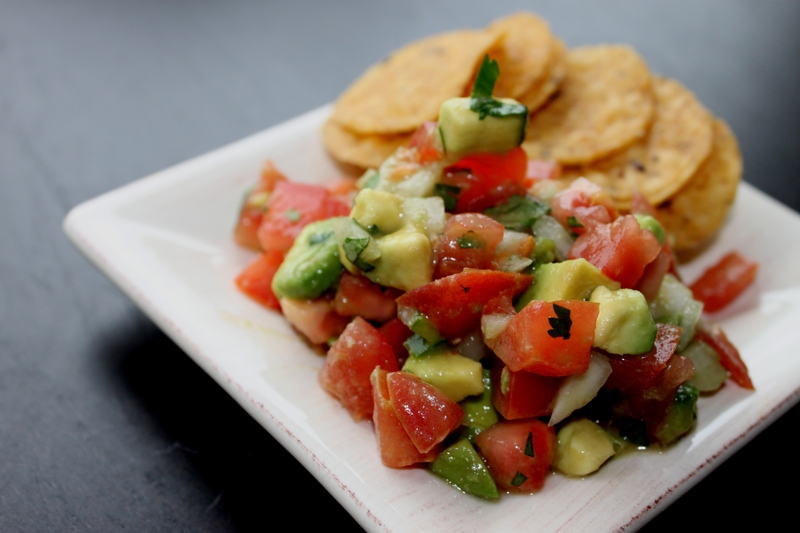 When an avocado calls to you…whip this up, you won’t be disappointed! Through it all into a food processor and blend. Then let sit in the fridge for a couple of hours to let the flavours mingle. To prevent browning keep the avocado pits in the guac and then remove. Enjoy! I have a bit of a food crush on Tyler Florence. I have enjoyed watching him in his kitchen for years…shortly behind Tyler is Jamie Oliver. The idea of a man in the kitchen is very attractive to me. Don’t get me wrong I love to cook, take great pleasure in being creative in the kitchen and cooking or baking for those that I care about, however a handsome guy, cooking me dinner… I know, total cliche. These chicken wings I have had in the cue to make for a long time. I think I was flipping through the channels one day and Tyler was making these (don’t you love how I refer to him like we know each other?). I loved the idea of the lime, honey and cilantro together. I did tweak his original recipe, with the changes reflected below. I added a little ginger and garlic to the wings as they baked, as well as a little Mexican Chili Powder. I also think that these would taste great with a little peanut butter and rice wine vinegar added to the sauce to give it a little Thai twist. But let me assure you, these are finger licking good…don’t miss out on the lime or the drizzle of honey at the end, the flavours balance so well together! I’ve made these both in the oven and on the BBQ. These were made in the oven. I found that placing them on a cooling rack over a rimmed cookie sheet was ideal. The little bit of oil, and the high heat without soaking in lots of fat. Turning a few times and it’s like rotisserie chicken. When BBQ’ing chicken wings, it’s best to cook at a medium indirect heat. Rinse the wings under cool water and pat dry. Put them in a bowl, drizzle with olive and sesame oils and season well with ginger, garlic, salt, black and chili pepper. Toss to coat with the seasoning. Then spread the wings out on a cooling rack, placed on a baking sheet and roast about 45 minutes until the skin gets crisp and brown, and the meat is tender. You will need to turn them a few times, maybe four, ensuring an even browning. While you wait, throw the butter, red curry paste honey, second amount of garlic and soy sauce into a blender. Season with salt and puree. Scrape into a big bowl. When the wings come out of the oven put add to the bowl with the curry butter. Squeeze the juice of the lime over the wings. Give it a toss and you’re done. Drizzle with honey, and garnish with cilantro – might be even nice with some sesame seeds. Be sure to grab lots of napkins and just dive right in! I often get quite…appreciative? Sentimental? Reflective?…about food. The flavours and variety we have access to is overwhelming in comparison to even 30 years ago. Meat and potatoes – the standard of days gone by, crosses our table far less than it did when we were kids. It’s not a criticism of our moms. Rather, it is a reflection of where we live, and truly when we live. Living in the Pacific Northwest I feel like we have an amazing abundance of cuisine to choose from. Within in two blocks of our place we have the following options: Thai, French, Greek, Chinese, Japanese, Indian, Mexican, Italian, Lebanese, Vietnamese, not to mention the regular North American cuisine to choose from. I love that. I love that I can go to one of these restaurants and on my way home stop at the little grocery store right next store and can pick up almost any ingredients I need to make my version of these delicious cuisines. Combine all ingredients excpet wonton wrappers in food processors, puree. Remove and allow to rest in refrigerator for at least 30 minutes. In a sauce pan with a steam basket on it, bring water to a low simmer. With a tablespoon measure scoop out mixture and wrap in wontons, gently pinching edges together. Steam in basket lined with lettuce leaves to make sure it doesn’t stick, until cooked thru – about 10 minutes. Serve with sesame oil and soy sauce to use as a dip. 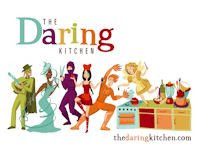 As I mentioned a few posts before, I recently went through and purged my collection of cooking recipes, selectively cutting out (scrapbooking) those I thought I might want to make. This recipe appealed to me because we LOVE sushi, and TB LOVES sesame seeds – so why not make it? This weekend when we were down at Granville Island we stopped by our favourite fish n’ chips place, Go Fish. Right in front many of the local fisherman dock their boats and sell their catch (just wait for the spotted prawn festival! ), and there in massive block print was BC TUNA, so I thought why not? I wandered down, and sure enough they had sushi grade tuna, it wasn’t yellow fin however, what the recipe called for, but it was still great! TB really liked the dipping sauce. I liked it, but I think I may be partial to something a little more salty and full of heat… like wasabi and soy sauce. However, I certainly don’t feel like the recipe is a write off, rather I think it just needs some tweaking, perhaps a little more soy? And perhaps more red pepper flakes. Make the dipping sauce: combine all the ingredients in a small bowl. Whisk until miso disolves. Sprinkle with sliced scallions. Make the tuna: combine sesame seeds in a shallow dish. Press tuna pieces into seeds, turning to coat each side. Heat oil in a medium saute pan over medium-high heat. Add tuna, and cook each side until white seeds are golden, aout 20 seconds a side. Transfer tuna to a paper towel lined plate for about 1 minute. Cut each piece into 1/4 inch thick slices.